Welcome to Lemax, a worldwide leader in collectable village miniatures. 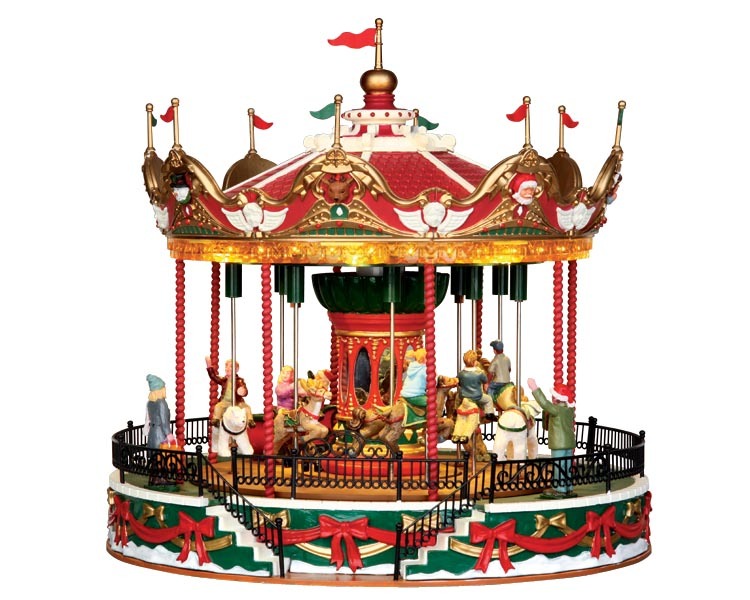 Since our founding in 1990, Lemax has been at the forefront of the rapidly growing pastime of lighted villages. From a modest selection of quaint lighted houses, our collection has expanded to encompass a world of houses, figurines and accessories. Collectors from across the globe have discovered the fun and fulfillment of decorating their homes with their own Lemax village. Our selection of enchanting houses, landscaping, accessories and figurines offers something for everyone, from serious village collectors to casual holiday decorators. We offer a high quality alternative to collectors who have devoted years to building lavish village displays, and an affordable entry point to new collectors. Collectors rave about the detail that goes into each and every Lemax village piece, along with the value and quality we deliver. Take a "tour" through our Village Collection and you'll quickly be captivated by the charming delights of life in our miniature world. Since January 2nd 2006, we can offer you Lemax direct from the source! The European office is located just outside Amsterdam, The Netherlands. From Schiphol Airport it is just a 15 minutes drive to meet Lemax. The Lemax head office is located in Hong Kong. The Lemax factories are located in the province Quangdong. Over 5.000 people produce with proud more than 1.000.000 houses and 10.000.000 figurines each year. Besides the quality, Lemax is also well known of their reliable deliveries. The company achieved a stable top ranking position at the US market. This will be the base to extend the European business. An own office in the heart of Europe is just a logical step to fulfill the consumer needs. Dedicated European people will do their utmost to serve you with the right price and excellent service! It’s time to pull out the decorations and plan the party! This year, Lemax will mark 25 incredible years in business, and we want our collectors and fans to be part of the celebration! It was back in 1990, that Lemax produced its first holiday-themed building. From there, the passion for providing fans with an engaging, magical world of make-believe has grown to a pinnacle for collectors. In 2000, we introduced a new line that would not only demonstrate its staying power, but open up the portal to the next chapter. Part of Lemax's success rests with our young graphic artists and designers who keep up with the latest trends in LED lighting and mechanical advancements. This new technology continues to improve the story-making experience for the Lemax collector. while never sacrificing the hand-crafted quality that collectors have come to expect as the Lemax standard. Now 25 years later as we mark our Silver Anniversary, we extend a big THANK YOU to our collectors and fans! We couldn’t have done it without you! So as we move forward into the next quarter century, Lemax will continue its commitment to providing collections that create a fun, festive environment. Stay tuned for the rest of the Lemax story, as collector’s continue to create their own magical worlds with these one-of-a-kind collectibles.